In these extraordinary times many are feeling fearful, sad, depressed, anxious, lonely and many other emotions. Yet, it is important to remind ourselves what we are grateful for. And that’s something we should be teaching our children and teens. Gratitude, thankfulness, or appreciation is a positive emotion or attitude in acknowledgment of a benefit that one has received or will receive. Children can be taught to look for the god things in any situation and to appreciate these opportunities or circumstances in their lives. Those small or overwhelming obstacles could be a lesson or an experience that will open the door to new and wonderful experiences. By teaching kids and teens gratitude for the good and the bad, you will be raising healthier and happier kids and boost their self esteem. Parents should model behavior they want their children to have. Make gratitude an everyday practice. Take steps to teach gratitude to your kids and teens and watch them grow up into wonderful adults. Thanksgiving day is the perfect time to show gratitude. What are you grateful for? Welcome to our blog. 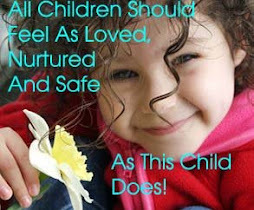 Love Our Children USA is the leading national nonprofit and ‘Go-To’ prevention organization fighting all forms of violence and neglect against children in the U.S. Since 1999, Love Our Children USA has broken ground in preventing violence against children and eliminating behaviors that keep them from reaching their full potential. It teaches effective parenting solutions and fosters kid success by creating valuable programs that empower positive changes in parenting and family attitudes, bullying and cyberbullying prevention, Internet safety and school violence prevention through public education. The goal of Love Our Children USA is keeping children safe and strengthening families. We believe that by changing social behaviors and attitudes and generating positive change, millions of children can be saved, allowing them to be loved, safe and nurtured … growing up to become healthy and happy adults who continue that cycle.